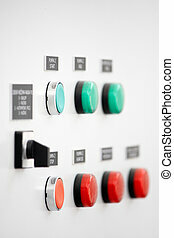 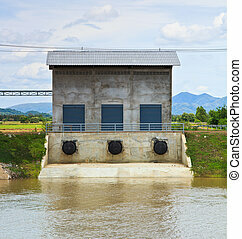 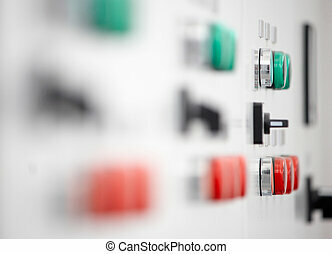 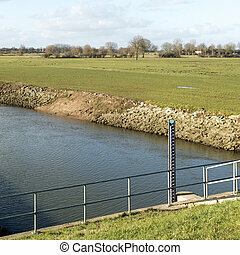 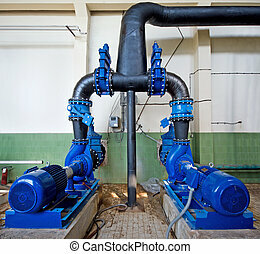 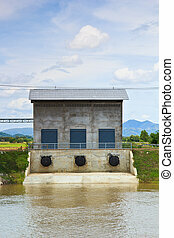 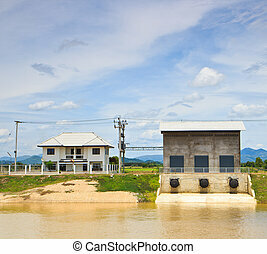 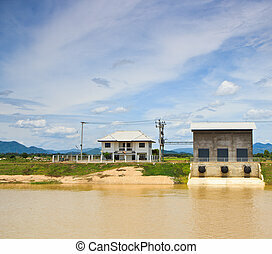 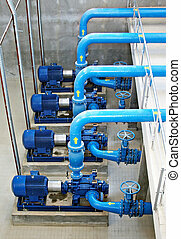 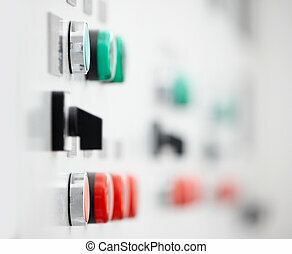 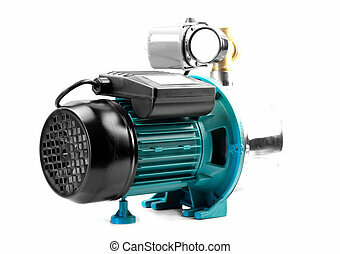 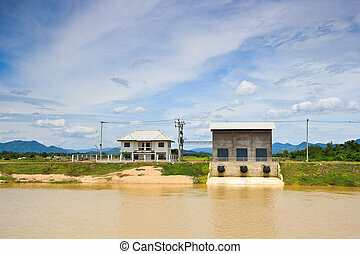 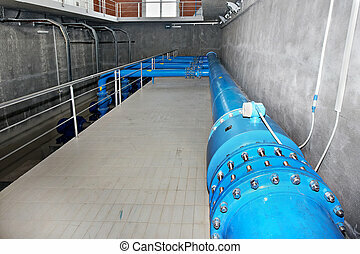 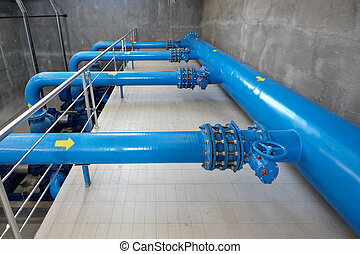 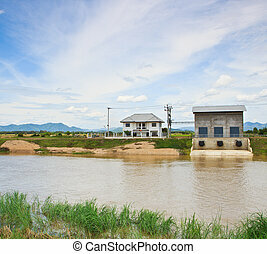 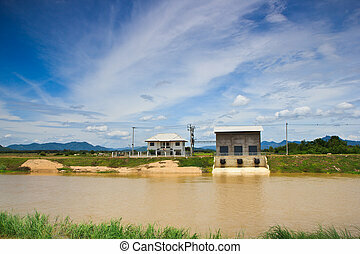 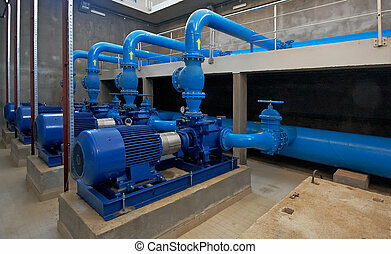 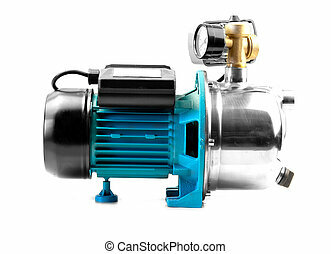 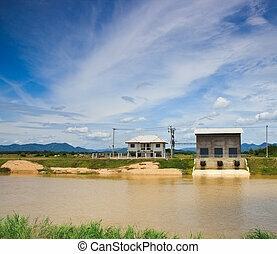 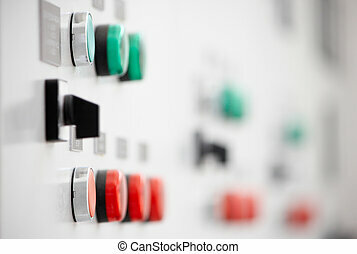 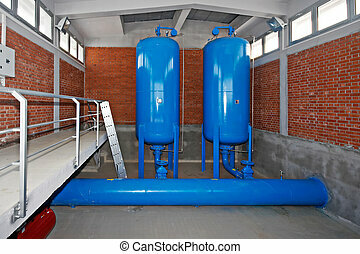 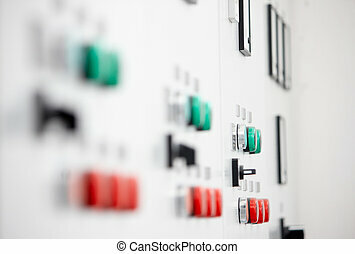 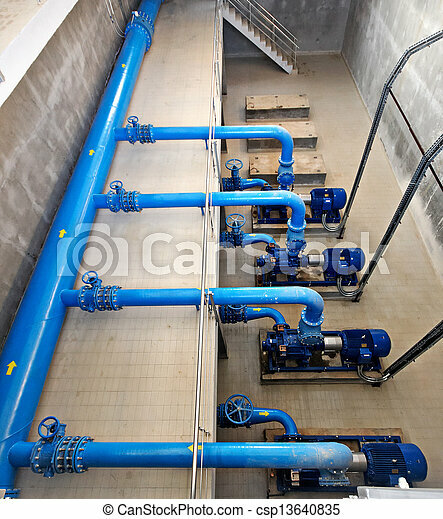 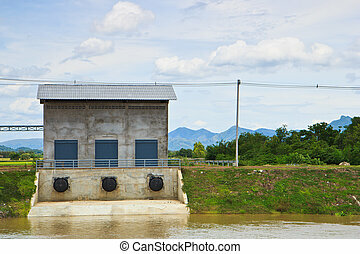 Water pumping station - water treatment plant within the pumps and pipelines. 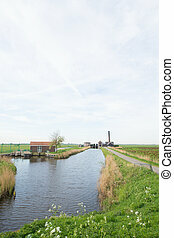 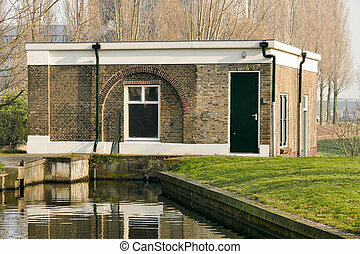 Pumping station near Bronckhorst in The Netherlands. 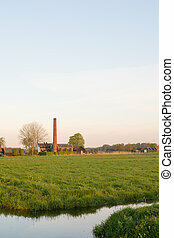 Pumping station Low Broekpolder in Rijswijk, Netherlands.